The Leaderboard initiative was started in October last year to recognize the top contributors on MSDN forums related to Database Systems. Many congratulations to the February 2017 top-10 contributors! 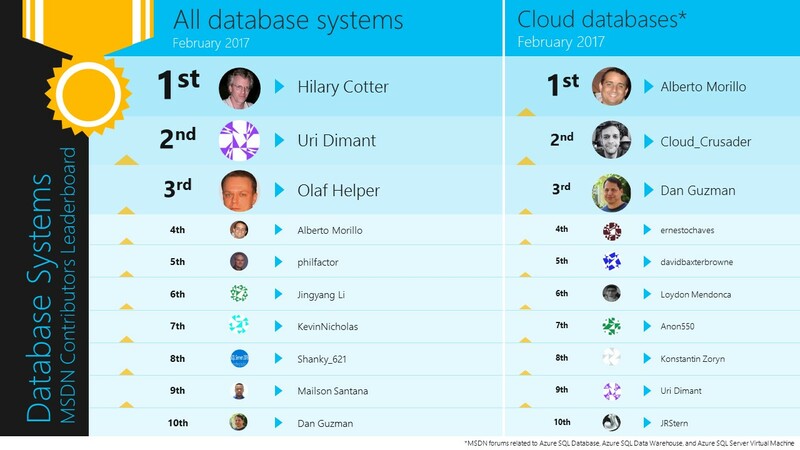 Hilary Cotter and Alberto Morillo top the Overall and Cloud database lists this month. The first 7 featured in last month’s Overall Top-10 as well.